We are your go-to source in home improvement services in Mickleton NJ, situated in East Greenwich Township in Gloucester County. Your town may only have 2,400 residents, but with a recent boom in suburban housing development, that number is sure to change.With your best interests always at heart, Homecraft® Inc. wants you to enjoy a positive experience with quality installation at affordable prices. That’s why we only use the most respected brand name materials and exceptional customer service at affordable prices, such as roofing, siding, replacement windows, doors, and gutters. You enjoy a variety of choices with us in regards to replacement windows: Homecraft® vinyl replacement windows or Andersen® wood replacement windows. It’s time to replace your old drafty windows, so visit us in Mickleton for high-quality replacement windows in many styles and prices. We have the knowledge and skills to design a brand new entryway for you with doors that are beautiful and durable as well as weather-resistant. Our storm doors protect your home, plus we also install garage and patio doors to meet your needs. When you need a whole new look for your home, come to us for cedar shake siding or vinyl siding in Mickleton NJ. You never have to paint again — or engage in much maintenance! With our siding by Homecraft® Inc., your home is insulated and more energy efficient. Offering you high quality roofing systems, backed by the industry-leading “Golden Pledge™” warranty protection, Homecraft contractors are highly trained in the best installation techniques and materials. The result? Your roof will last for decades to come. There’s no question you should rely on our GAF MasterElite™ roofing contractors – the best of the best! Don’t you want to know that your home is safe from water damage? That’s where quality gutters from Homecraft come in. Our gutter systems efficiently divert rain flow due to rain, snow, or ice in the best possible way without clogs. To make the most of your home, lean on our team to make any improvement, repair, or renovation you need. Thanks to the fact that we are continually trained in the best products, materials and installation techniques, your satisfaction is 100% guaranteed. 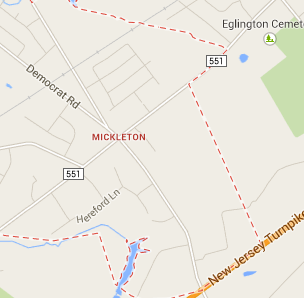 FREE Estimates on Mickleton NJ Home Improvement, Windows, Doors, Siding or Roofing. Call Homecraft®, Inc., today at 1-877-494-0377 to schedule a FREE in-home consultation and estimate for your Mickleton NJ home improvement project, roofing, siding, replacement windows, doors, or gutters.